The New York Rangers vastly improved their chances at another Stanley Cup Final appearance two weeks ago, when they acquired defenseman Keith Yandle from the Arizona Coyotes. The Rangers brought in a powerhouse offensive defender, while Arizona loaded up on young talent. Although defenseman John Moore is a current NHL player and the two high draft picks will be valuable in the not-too-distant future, the acquisition of forward Anthony Duclair could be what steals this trade for the Coyotes. After he was drafted in the third round, 80th overall, of the 2013 NHL Draft, Duclair turned his game up a notch and became an elite scorer in the QMJHL. Skating with the Quebec Remparts, the Pointe-Claire, Quebec, native recorded a team-leading 50 goals and 99 points in 59 games in 2013-14, earning a First Team All-Star nomination for the first time in his career. He began this season with the Rangers, scoring a goal and six assists in 18 games before joining Team Canada in the 2015 World Junior Championship. After winning gold, he was sent back to the QMJHL on Jan. 6. Despite his appearance in hockey’s strongest league, it was the WJC tournament that brought Duclair’s name to the forefront. The 19-year old scored four goals and four assists in seven games, adding an impressive plus-11 rating. On a roster that included up-and-comers Connor McDavid and Curtis Lazar, Duclair, with linemates Max Domi and Sam Reinhart, was the toast of Canada as all three forwards combined for 14 goals, 29 points and a dazzling plus-34 rating. The magic may continue to an NHL arena near you. Domi was the Coyotes’ first-round pick, 12th overall, in the 2013 NHL Draft. Currently, Domi is playing with the London Knights of the OHL. He is expected to challenge for a spot on Arizona’s roster as early as next season. Domi is a season removed from posting a team-high 59 assists and 93 points in 61 games. With just one game remaining in the 2014-15 campaign, he has already reached 68 assists and 99 points. Although he is not the points leader for his club (credit that to Mitchell Marner, 124, and Christian Dvorak, 107), the Winnipeg native has been vital to the Knights clinching their 15th consecutive playoff berth. 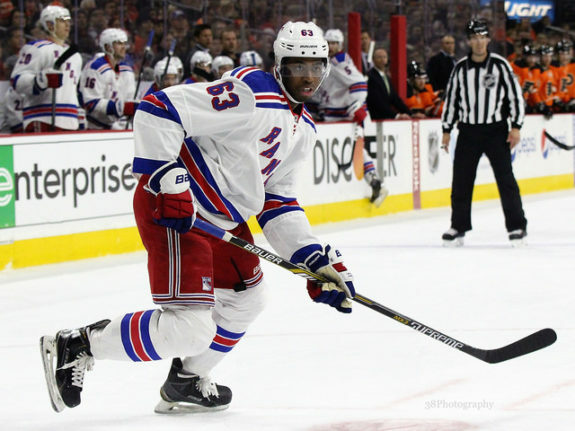 Duclair, a right-handed left winger, plays a big man’s game at just 5 foot, 11 inches and 185 pounds. As well as being a dynamic scorer, he’s willing to get physical if the game calls for it. Together, they make a dynamic duo that, if properly developed, can wreak havoc in the NHL. Coached by defensive specialist Dave Tippett, the Coyotes have boasted success in the recent past. In his first season behind Phoenix’s bench in 2010, the club reached the playoffs for the first time in seven seasons. After losing to the Detroit Red Wings in the Western Conference quarterfinals for two consecutive postseasons, the Coyotes achieved the highest level of success in the franchise’s 16 years in Arizona. Led by the supreme goaltending of Mike Smith and a stellar defense that included the likes of Keith Yandle, Oliver Ekman-Larsson and Derek Morris, the Coyotes reached the Conference Final after defeating the Chicago Blackhawks and Nashville Predators. They lost to the eventual-champion Los Angeles Kings in five games. The 2014-15 season will mark the third straight campaign that the Coyotes do not qualify for the postseason. In an attempt to change the culture of the locker room and build for the future, GM Don Maloney shipped out forward Antoine Vermette, along with defensemen Yandle and Zbynek Michalek. Maloney did his best to add pieces to keep his team relevant now, as well as build for a dynamic future. Altogether, the Coyotes added one roster player, three prospects and three draft picks. 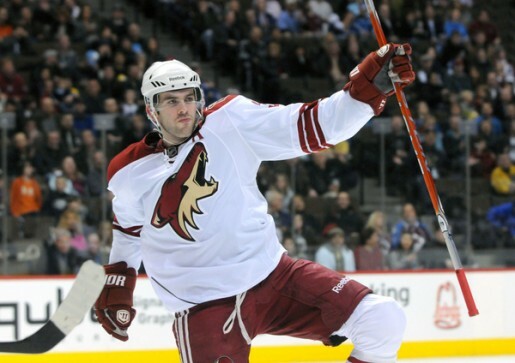 Of course, the Coyotes’ biggest asset coming from this season does not involve a trade. Currently, Arizona is third to last in the NHL standings, giving them a surefire shot at receiving a top-five pick in the upcoming draft. The No. 1 pick is undisputed amongst draft analysts. It will go to a former Team Canada teammate of Domi’s and Duclair’s — Connor McDavid. Whether the Coyotes land the top prospect or not, the future is bright in the desert. Domi and Duclair provide a powerful punch that could prove to change what you know about the Coyotes’ game plan.